When fourth-generation rancher, Mark Lacey’s, family settled not far from Independence, in 1867, they couldn’t have known the impact that their family would have on the Golden State’s cattle industry. But when you talk to the incoming, second-generation CCA President, he’s humble and seems ready to roll up his sleeves and get down to work for the industry he loves in his new leadership role. And it’s the classic work hard, get down to business attitude that also marks his upbringing and that Lacey hopes marks his presidency as well. Lacey’s early days were spent on his family’s ranch in Mono County, a typical cow/ calf operation of the time. 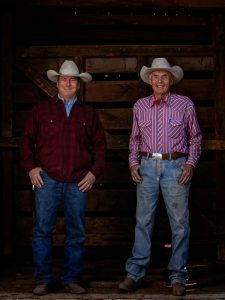 Always trying to stay one step ahead of the next best business opportunity, in the 70s the family’s patriarch and cattle industry legend, John Lacey, Paso Robles, bought a ranch in Montana and moved the family there. While the land was beautiful and they managed the cold winters just fine, it was clear, Lacey said, that soon after they arrived in Montana, haying an integral part of the operation there, just wasn’t for the family. “We were just never farmers. If there was grass, we figured the cows ought to be cutting it;’ he laughed. But by that time, the elder Lacey’s financial investment had paid off. The land had appreciated, the opportunity to get out presented itself and the family headed back to California. Seeking somewhere a little more paved than Independence while the kids went to school the Lacey family headed to the Central Coast where Mark attended elementary, middle and high school before attending California Polytechnic State University in San Luis Obispo for college. When Mark Lacey speaks of what his upbringing was like and of his past, it sounds like something straight out of any Louis L’Amour novel. The summers of most of his early days he spent in cow camps on the edge of the Mojave Desert, on Department of Defense land that the family ran cows on. Moving cows to different meadows, moving salt and chopping wood all became his annual ritual. From 1977 to 1993 he was in the camps, almost always by himself, from June to October. He would come back one day before school started, to knock the dirt off, shower and get ready for civilization again. For years, he says, he was the only one on the mountain, wiht no roads, no electricity and everything was packed in on mules. The most modern comfort he had was a Coleman propane burner, just to get the coffee going in the morning, and at just under 9,000 feet elevation, you need all the help you can get to get that water boiling. Times changed though, unfortunately, and according to Lacey, pressures from environmental groups, the encroachment of the Pacific Coast Trail and efforts to protect the Golden trout resulted in the land not being realistically usable for grazing any longer. 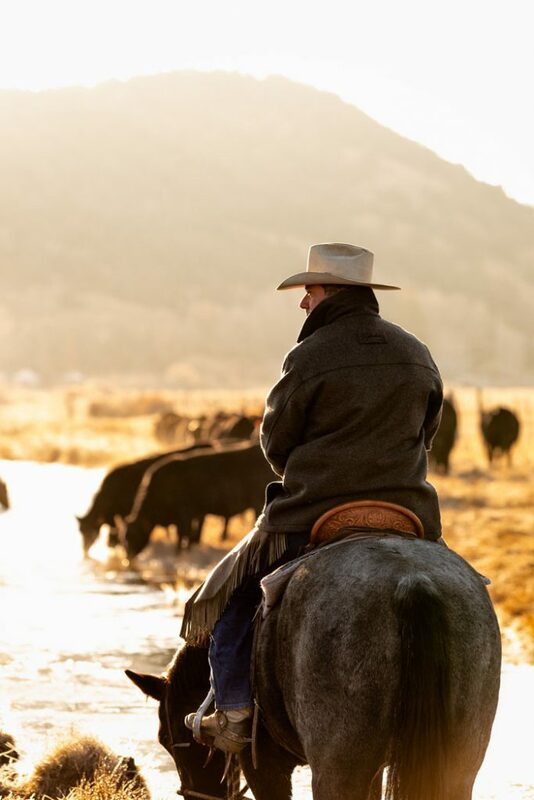 But, as ranchers usually do, the family and operation adapted and new leases and ranches were attained.Into the 80s, Lacey Livestock leased a few ranches in Colorado as well and Mark spent a considerable amount of time going back and forth between California and the Centennial State. If he had not had so many commitments here, he says, he may have just ended up staying there all together, but he decided to come back, changing both his future and that of the California cattle industry. About that time he married his wife, Brenda, whom he met in college and says is the quintessential Ventura beach girl who makes sure he lets her see the ocean at least once a year. But don’t let that beach girl fool you, agriculture teacher herself. 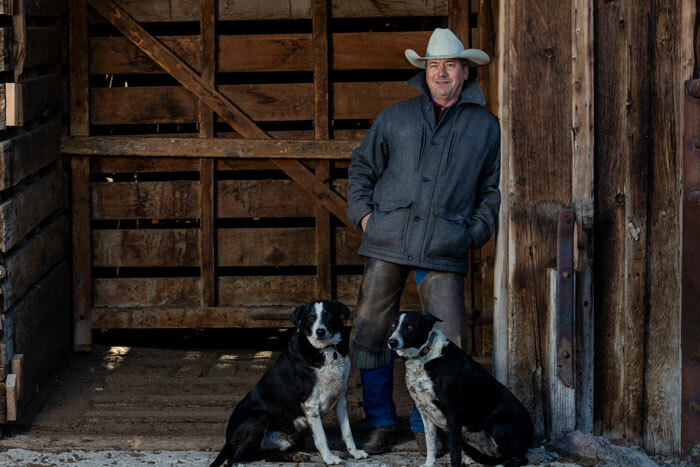 Mark’s two daughters, Molly and Katie joined the family in 1995 and 1998, respectively, and it’s clear when you speak with Lacey, that they are among his most treasured inspirations and a major driver of the work he puts in to preserving the beef cattle industry in California. “I want my kids to have it, I want their kids to have the opportunity if they want it, and everyone else’s kids too,” Lacey says of life in the beef business. And it’s evident when he talks about his plans for his next two years as president of CCA, that he’s committed to making that happen, and has some big ideas on how to make it so. Membership, according to Lacey, is going to be one of the keys. And it’s that message, he says, that he wants to get out to cattlemen across the state who may not be members yet to encourage them to get engaged and come into the fold. “I don’t have a problem with people disagreeing with me or disagreeing with what we do at CCA, but if you’re not going to be a member you aren’t even part of the debate,” Lacey said. Adding value to membership by exploring other sources of non-dues revenue is also how he hopes to increase membership value and to woo those non-members as well. “It shouldn’t always come off the backs of our membership, I want to get creative about revenue streams,” he says. Fire is another issue he hopes to use to gain political capital with legislators that haven’t always been on cattle ranching’s side, using the recent blazes to further demonstrate the need for livestock grazing on California’s open landscape. “Fire is going to continue to be an issue in California. We need to offer solutions. We need to be involved in that conversation because we manage so much of California’s open space. Because there is going to be a lot of focus on it, maybe there is a way to codify, to put into law, the California cattle business and how important we are to grazing and fuel reduction,” Lacey says. 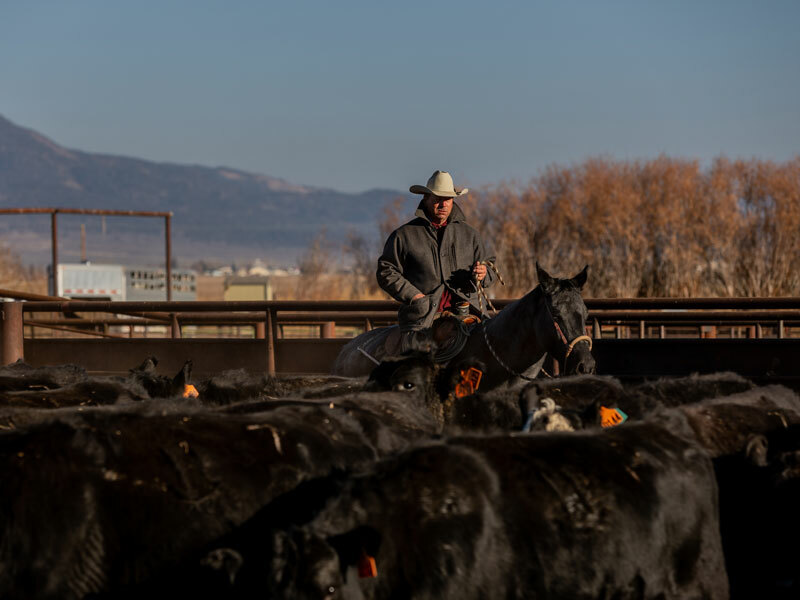 Recognizing the temperature of the current political climate, taking advantage of the California cattle industry’s diversity is also high on the priority list to stack the deck in favor of ranching. “California is a diverse state and so is the cattle industry and we need to highlight that [to legislators and regulators]. I am disappointed that we haven’t had a woman as a president of the association, it’s way past time. Not as a token, not as a figurehead. It’s a big tent and the door is open. “There are so many strong cattle producers in the state, if we aren’t utilizing them, especially with the current women’s movement the way that it is, we are missing out, and I don’t want to miss out. “I also want to keep the youth movement going. There are a lot of promising young producers that I see in the [CCA Leadership Series] that I want to get and keep engaged sooner. I know it’s hard, they’re young, raising their families and growing their operations, but I want to get them involved earlier,” Lacey said. Lacey says he does feel though, lucky to be the age that he is and that his particular age and upbringing give him a unique perspective for leading CCA, straddling eras, comfortable with both the old ways and new. “I’m old enough where you weren’t going to be on the cowboy crew if you couldn’t shoe your own horses and when I was in college you had to pay someone to type your term paper on a typewriter, but I’ve seen a lot of changes; cultural, social, technological in the beef business,” indicating a receptiveness to the open-minded ideas and strategies often required when dealing with California’s legislature and political state. And for the next president of the California Cattlemen’s Association, moving toward the future while carrying the light of the past, there’s probably not much better to believe in.